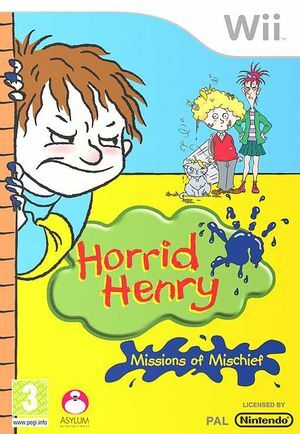 In Horrid Henry: Missions of Mischief Henry is a headstrong boy, constantly raging against the tyranny of adults and infuriating girls. For Henry life just isn't fair. If he's not battling his fearsome class teacher Miss Battle-Axe at school, he's in trouble with his Mum and Dad. Now Horrid Henry moves from the massively successful TV show and multi-million selling book series onto Wii in the form of a fun, fast and funny, action platform game where the player takes the lead role of Henry himself. The graph below charts the compatibility with Horrid Henry: Missions of Mischief since Dolphin's 2.0 release, listing revisions only where a compatibility change occurred. This page was last edited on 18 January 2018, at 00:36.